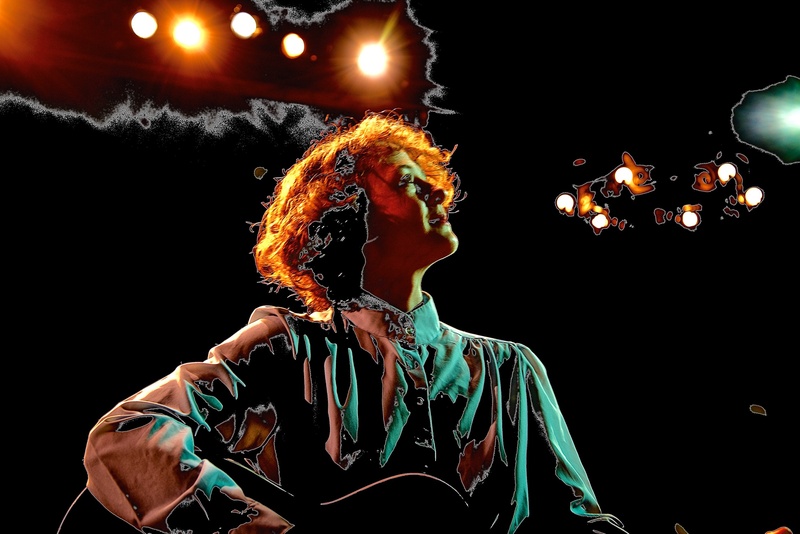 Award-winning Americana-folk singer-songwriter, traditional Appalachian musician, multi-instrumentalist and community-based activist Ash Devine is based the Blue Ridge Mountains of Asheville, North Carolina. Devine is an accomplished vocalist and multi-instrumentalist and she has recorded and self-produced two albums of original Americana-folk-world fusion music and is currently working on her third. Her vocals are breathy, rich and earthy with a classic folk sound and her versatile fingerstyle guitar and ukulele playing is a dynamic and beautifully satisfying accompaniment to her songs. Beyond incredible musicianship, Devine’s strength is stage presence and connection with her audience. Comparable to Pete Seeger, Ash gently weaves themes of social and environmental justice into her performances, while encouraging the audience to sing along. From 2007-2014 Ash Devine traveled internationally with activist Patch Adams, M.D. to perform in medical facilities, orphanages, social service centers, and nursing homes. In 2015 Ash Devine starred as the legendary Maybelle Carter and musically directed the play “Esley: The Life and Music of Leslie Riddle”. From 2016-2018 Ash Devine studied Appalachian traditional folk songs from the Western, NC area with Smithsonian Folkways Award winning ballad singer Sheila Kay Adams. In 2018, Devine was invited to join a group of WNC Appalachian song carriers to perform at the Library of Congress at the American Folk Life Center in Washington, DC. Ash’s unique background and ability to connect with her audiences through story and sound makes her music deeply relatable and emotionally compelling for people of all ages. Devine’s work as a teaching artist is devoted to social justice, musical heritage preservation, education, and inter-generational community building through music and arts. 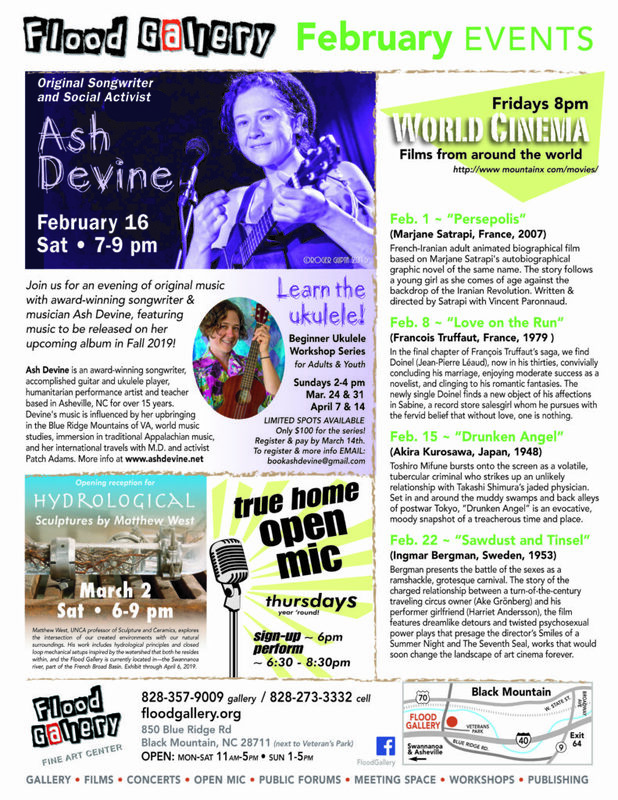 In addition to her concerts in folk venues, private events, and house concerts, Ash performs and teaches nationally in nursing homes, schools, homes for disabled, and community based events. 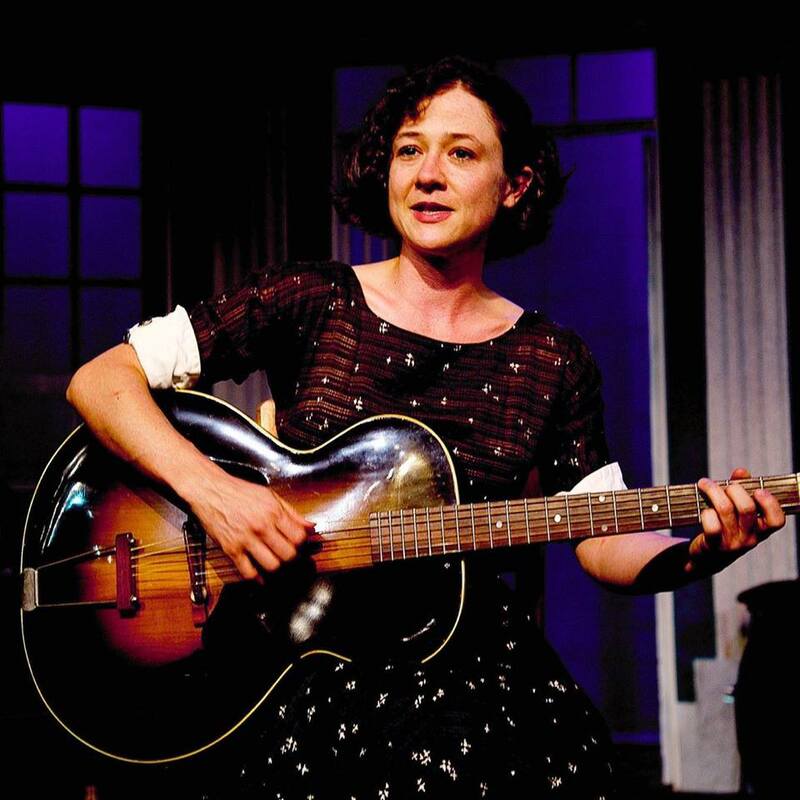 In summer 2015, Ash Devine blew audiences away with her finger picking Carter scratch style when she starred as legendary country stars Maybelle Carter of the Carter Family in the Parkway Playhouse production of “Esley: The Life and Music of Leslie Riddle”. As co-musical director, Ash Devine authentically re-created the Carter family sound. Ash offers concerts featuring traditional folk music from WNC and music of the Carter Family. Concerts are available solo or with a band accompaniment. See the tour dates here ! Ash I miss you! Come back. Lovely of you to share your music this afternoon, inpromptu, in Hana. “I’ll Fly Away” made me weep. Oh glory, high praise. I wanted to thank you for sharing your songs. I regret not grabbing my fiddle and joining you on your island tour. Clyde said you shook the whole building in Kapaa, nearly to the ground. Hello Ash I love your new songs!! I would like to help you get the word about your music. Helping my clients and business networking partners put up FREE to low cost small business websites, get them found on local search, work to keep them there, and help build a strong local twitter target market.